Windows 8: Does its 1-month report card read pass or fail? Windows 8 has landed with more of a thud than a bang, to hear many retailers and manufacturers tell it. The root of the problem is up for debate, but a new report suggests that Microsoft is taking one of the possible culprits—the lack of low-cost, touchscreen Windows 8 devices—head-on, offering manufacturers steep discounts on Windows 8 and Microsoft Office licenses destined for small, finger-friendly laptops and hybrids. Licensing fees for Windows 8 and Office could be as low as $30 for devices with touchscreens under 10.8 inches, the Wall Street Journal reports, citing “people familiar with the situation.” Previously, the same bundle would have cost $120. Larger touchscreen devices can also get a discount license, but without Office, the Journal claims. Windows 8's interface was overhauled to work best with touchscreen devices, but touch capabilities add significant cost to the price of a display. When combined with the cost of a Windows license, it's no surprise that low-price touchscreen laptops have been scarcely seen, though a few models can be found for south of $500. The high cost of Windows 8 licensing has been a problem for Microsoft, as Windows hardware feels the squeeze from cheap tablets like Amazon's Kindle Fire and Apple's iPad Mini. To date, no one has launched a Windows 8 or Windows RT tablet for less than $500. 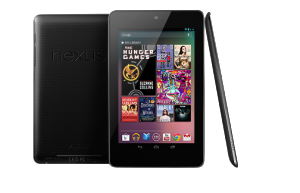 Meanwhile, a handful of Android-based tablets have begun to crack the $150 barrier. As I wrote earlier this week, these small, inexpensive tablets pose a big threat to the existing PC market. Instead of buying new laptops and desktops, people are delaying those purchases and picking up cheap consumption-oriented tablets instead. The rise of small tablets does leave room for larger Windows 8 hybrids and convertibles to compete on the high end, and there's already some evidence that touch-based notebooks are performing well. Still, Microsoft can't afford to ignore the booming low end of the market, which is geared toward content consumption. Putting cheaper Windows hardware in the hands of more users will help establish Microsoft's own ecosystem of apps and content. It's not hard to draw parallels to the netbook boom of five years ago, when Microsoft offered cheap Windows licenses to stave off Linux-based machines. Now, as then, there's a risk that the discount will create a class of inferior products that will ultimately collapse.